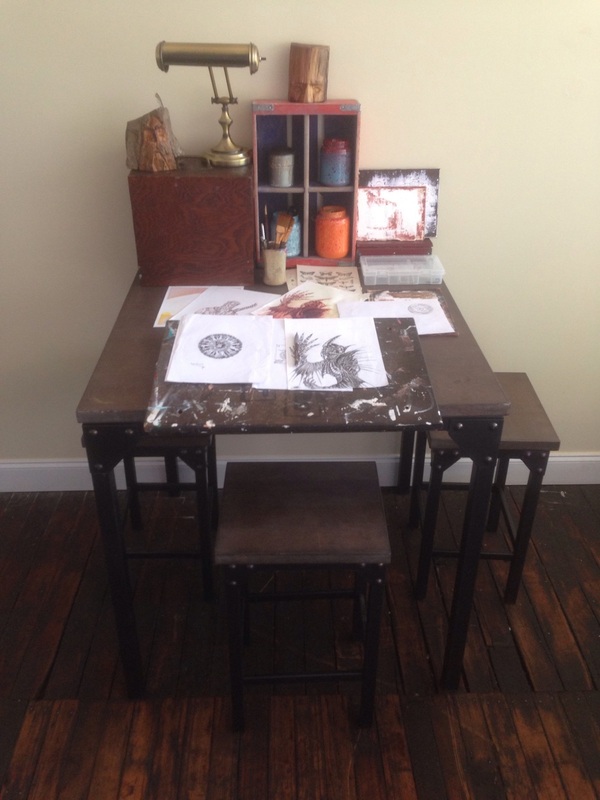 I just added another workspace to the studio which will serve as a drawing table and small workspace for a few other artists. My primary workbench is in the back left corner. It is good to see things coming together.